Always look for inspiration to improve. It’s important to acknowledge there are many great ideas in the world and understand how to keep an eye out for them and include them in your own business. I had the pleasure of interviewing Tristin Sweeney. 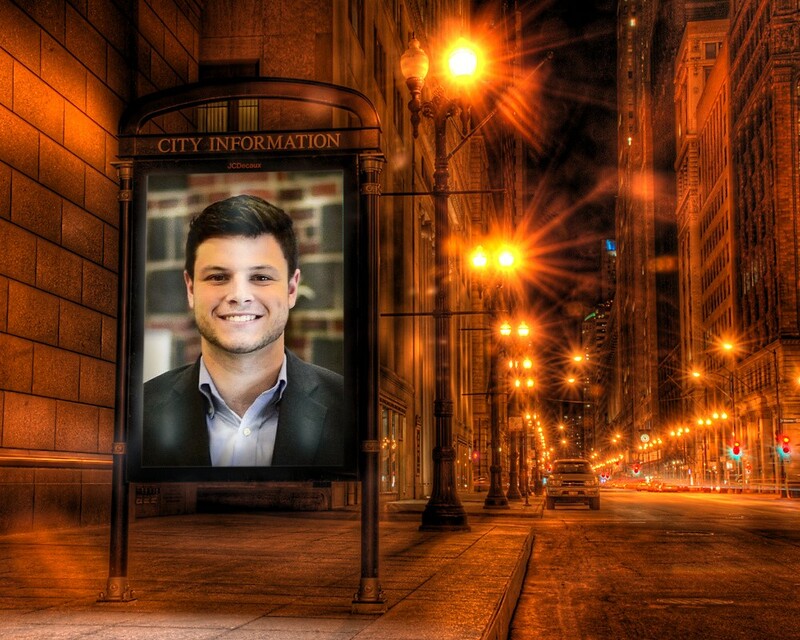 Tristin was the 21-year-old CEO of RepairU and the now recently promoted COO of MRP Mobility. His leadership in the mobile repair industry led him to expand RepairU to ten campuses strong, and ultimately get acquired by RevampIT. Now Tristin is taking on the enterprise market as the COO of MRP Mobility, leading the company’s international expansion and global operations in more than 70 countries. I was born and raised in Charlotte, NC, and developed a passion for entrepreneurship at an early age. It started with a business mowing lawns in my neighborhood with my best friend as a kid. As I continued to grow up, I developed a strong interest in technology starting with the first computer I got, the iBook G4. From there I got really into Apple, and the technology they create, and I’ve followed it pretty closely ever since. I continued to be the go-to Apple tech guy at my high school and my passion for technology really took hold. My Eureka moment came from repairing my first iPhone for a friend. I had experience with jailbreaking and troubleshooting, but the market for third party repair was really taking off and I saw an opportunity. I chose NC State for undergrad for their emphasis on innovation, while their “Think and Do” slogan fits my personality — not just coming up with ideas, but executing on them. RepairU, (A mobile device repair network by students, for students) was born out of my college dorm, starting on NC State’s campus, and eventually spreading to several universities around the country. Its less of a story, but the multitude of many late night phone calls I receive from friends and family with dire technology problems is pretty amusing. Everything from the simple to the stupid comes my way as the technology catchall. When I started my company I wanted to figure out a way to differentiate ourselves from other repair companies. That is embodied by our slogan “by students, for students.” This has allowed me to empower other students at other campuses to see the same successes I did and have autonomy. Two people really stand out as helping me on my entrepreneurial path. The first was Chris Musbach, one of the first believers in RepairU. He helped me access the resources to grow the company, but he also acted as a mentor along the way to flush out ideas or just be a sounding board for thoughts. The second person would be Paul Barrett, the CEO of Deutsche Auto Parts, the first true entrepreneur I ever worked for. He has a hustle-hard mentality and became a great mentor to this day for all things entrepreneurship. Yes, the two most exciting projects I’m working on currently are with MRP Mobility in the mobility & deployment space, as well as a newer company called MR Squared working on solving wholesale logistics issues in the mobile repair space. The best example of me bringing goodness to the world is by acting as a mentor and advisor to other collegiate entrepreneurs and helping them find their own success. “Steve Jobs” by Walter Isaacson. The book dives into Steves upbringing and how he developed his passion for “intelligent design” and highlights his brutal persona as an employee and also as a leader. It speaks pretty clearly to how he was able to accomplish these really elegant things with a persona that was less than elegant. I think it showed me the importance of having a balance of being a respected leader in a workplace but also in a manner that is powerful and inspiring to those around him. There were a lot of interesting lessons in how to act as a leader and how that influences work produced by not only you but those around you. The number one thing I wish someone told me before I started a company is to maintain the people and things around you that make you happy, and act as an escape from the constant hustle. Hire people who are smarter than you. Some of the best decisions I’ve made as a business owner are bringing people on who are smarter than me in areas where I wasn’t as strong. Expect failure. My first failure was pretty influential in how I built my company and realizing my business model didn’t work everywhere and needed to be adapted for each specific situation. Take intelligent risks. Seems like a simple one but in the heat of the moment with a company, it’s really hard to take a risk, especially financially. The best investment as an entrepreneur is an investment in yourself. Take chances, because they might just be what lead to your ultimate success. I would love to meet Philip Defranco. His experience being an entrepreneur in a space that’s so anti-entrepreneurship really highlights his drive and dedication to disrupt how we consume news. I have been following him for years; he has some interesting and well thought out views on the world. I think that it would be a really enjoyable and inspiring opportunity to connect with him.